Two more flu deaths in San Diego County have brought this season's death toll to 11, county health officials announced Wednesday. 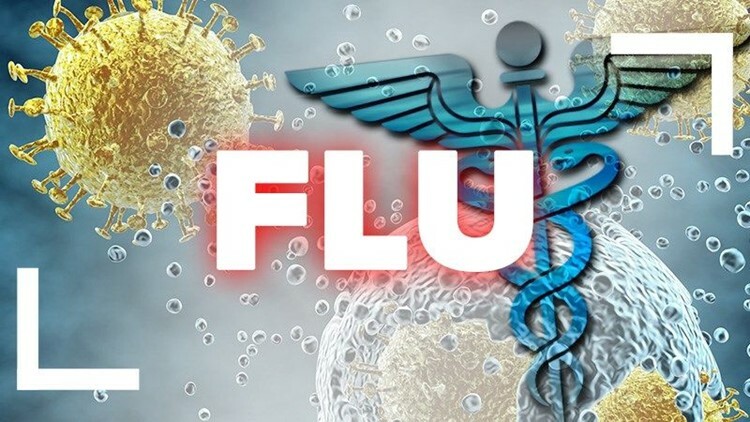 SAN DIEGO (CNS) - Two more flu deaths in San Diego County have brought this season's death toll to 11, county health officials announced Wednesday. According to the county's Health and Human Services Agency, a 74-year- old man died Dec. 31 after contracting influenza B, and a 64-year-old man died Jan. 3 from influenza A complications. The 74-year-old man was vaccinated but the 64-year-old man was not, the county said. Lab-confirmed flu cases in the county total 2,083 through Jan. 5, according to the county's weekly influenza report. That total represents roughly one-fifth of the 10,335 confirmed cases at this time last flu season. The death toll is lower, too, having reached a total of 91 at this point last season. "It's not too late in the season to get your flu shot," said Dr. Wilma Wooten, the county's public health officer. "Flu activity can last until April or May and the flu vaccine is the best way to protect yourself and others around you from influenza." County health officials and the Centers for Disease Control and Prevention strongly advise the annual flu vaccination for everyone 6 months and older, especially those with a heightened risk of serious complications, such as pregnant women, people older than 65 and people with chronic conditions. County residents can get vaccinated at doctors' offices, retail pharmacies, community clinics and the county's public health centers. Residents can also call 211 or visit the county's immunization program website, sdiz.com, for a list of county locations administering free vaccines.